Charisse Young weeps at her son's casket. "I know what you would say, 'Stop crying Mama, stop crying.' I can't stop crying, Dominique, because it hurts so bad, son. 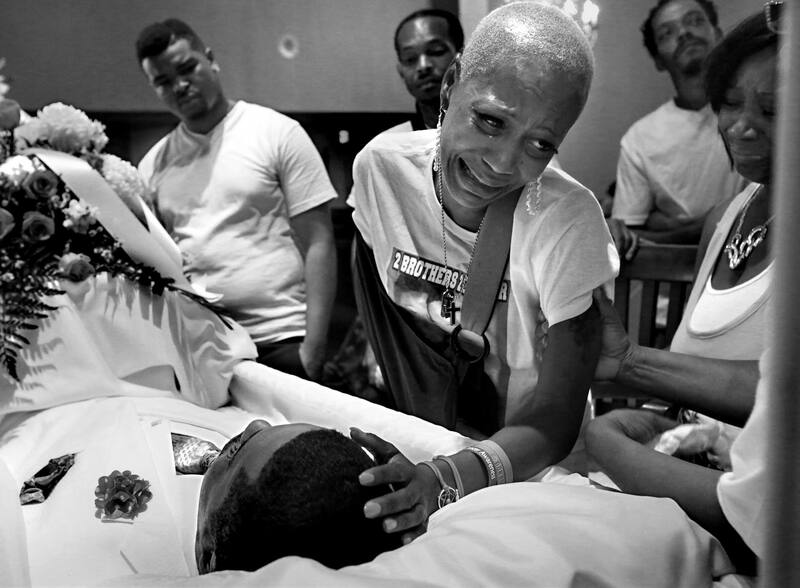 It hurts so bad, Dominique," she said during his wake on Aug. 14, 2015.